I presented here the possibility to use SpiderBasic in the context of SAP. Here now the combination, SpiderBasic gets data from SAP. At first the SpiderBasic source which calls the web service and shows the XML response as tree. 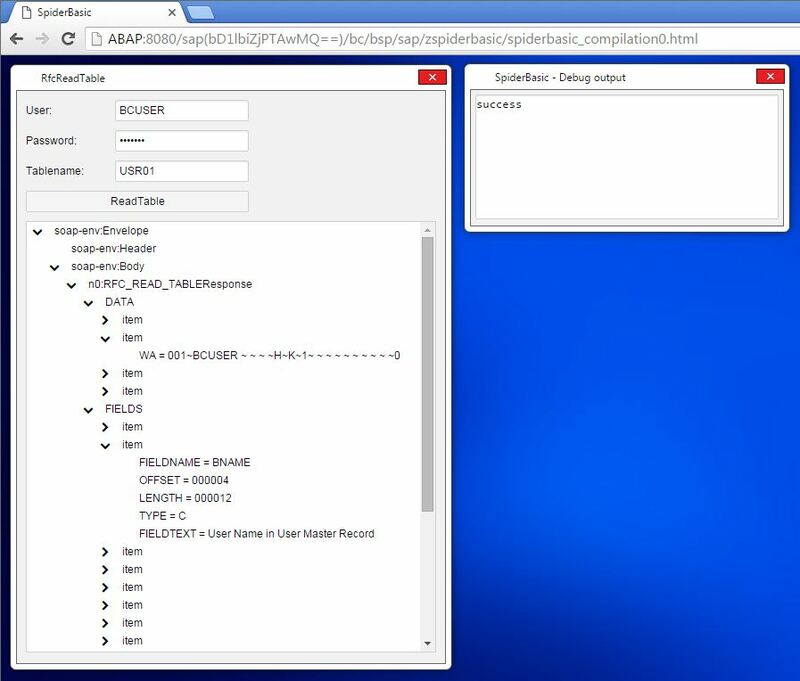 Here the html code which is used in SAP as Business Server Page (BSP) with flow logic. Here now the result in Google Chrome, as example with the table USR01. On this way you can get the content of all SAP tables you like. I don't check any field type, but with RFC_READ_TABLE you have the possibility to exclude fields which types are problematic. Also don't request tables with too much entries. I tried it with table TFDIR with over 90.000 entries - it works but it needs to much time. It seems to be better in this case to define a meaningful where clause via OPTIONS parameter. Great code as usual ! 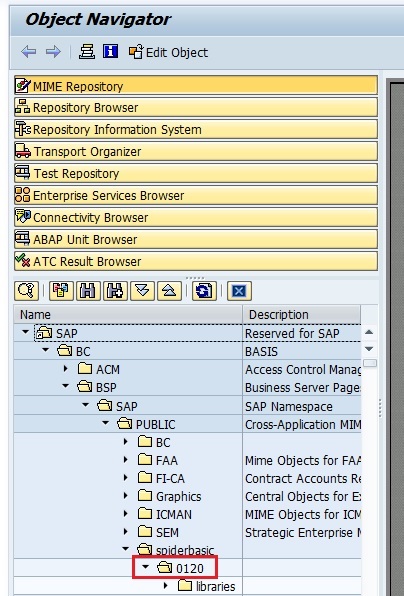 I have checked the actual SpiderBasic release 1.20 in the actual SAP releases 7.40 SP 12 (SAP_BASIS - SAPKB74012) and SP 13 (SAP_BASIS - SAPKB74013) and it works perfect. In the MIME-Repository I changed the name strategy, I added the version of SpiderBasic as part of the path. So it is possible to use different versions of SpiderBasic parallel. With the path variable in the code above is it possible to set it very flexible. Last edited by Stefan Schnell on Thu Feb 18, 2016 5:33 am, edited 3 times in total. Good to know ! So it works out of the box without need of patching anyhing ? all I do is to compress the SpiderBasic framework, therewith I can answer your question with yes.